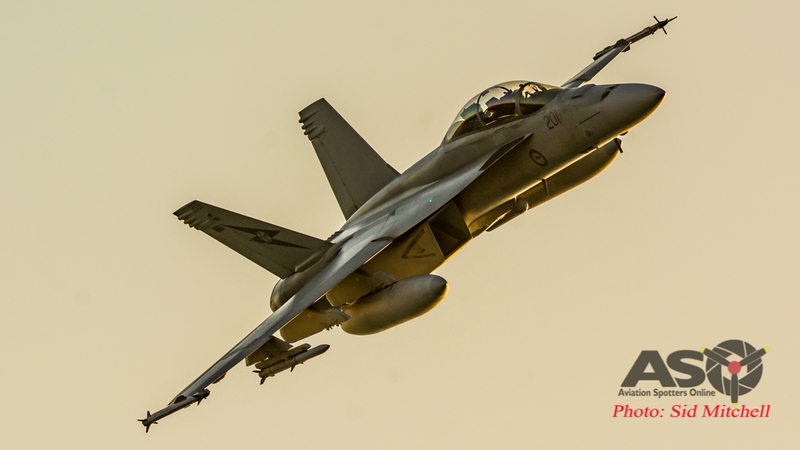 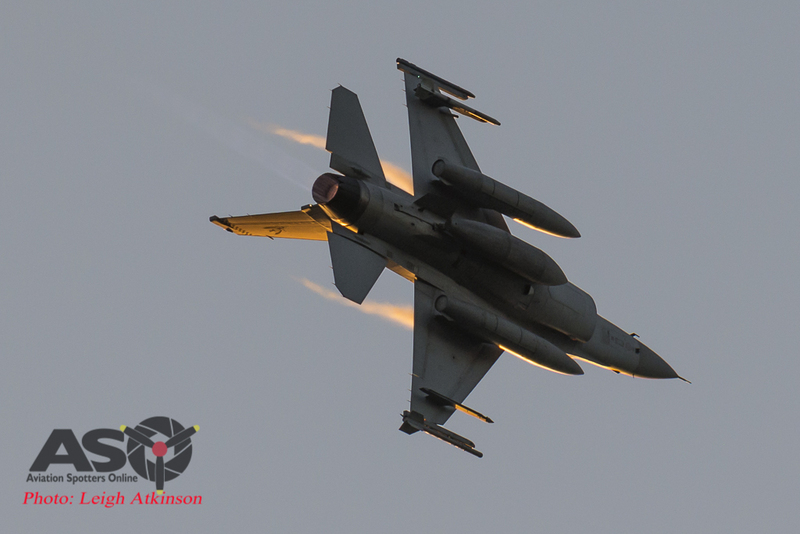 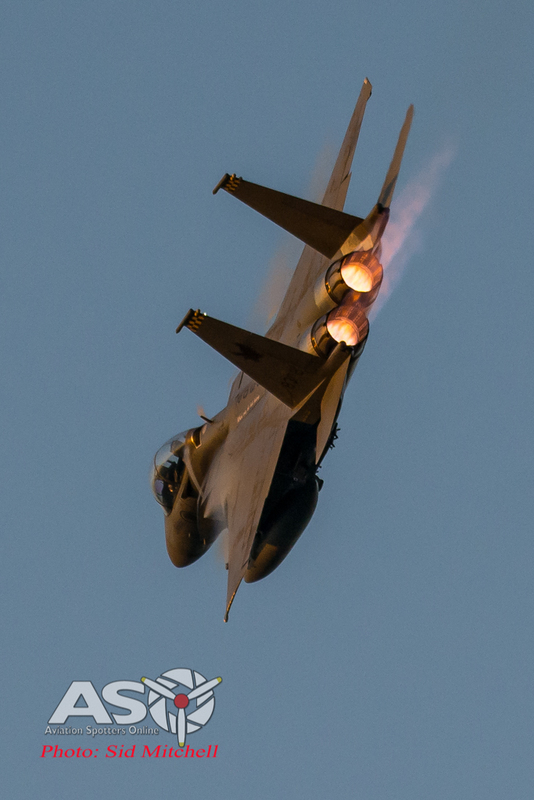 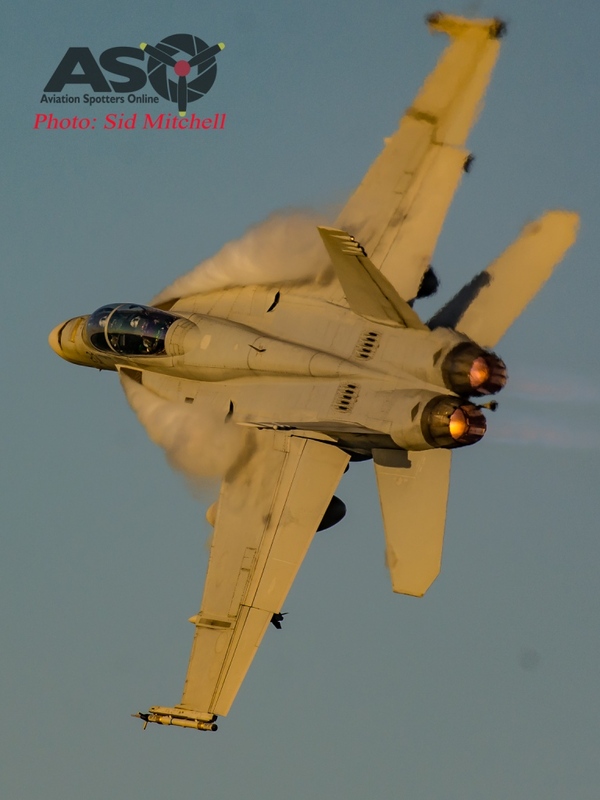 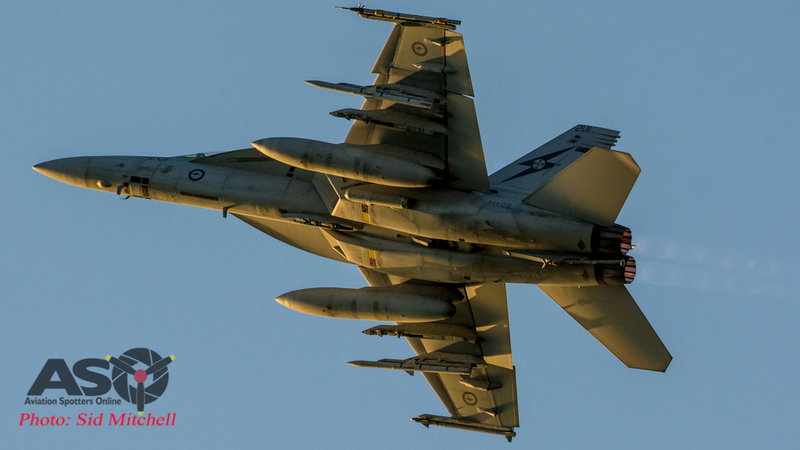 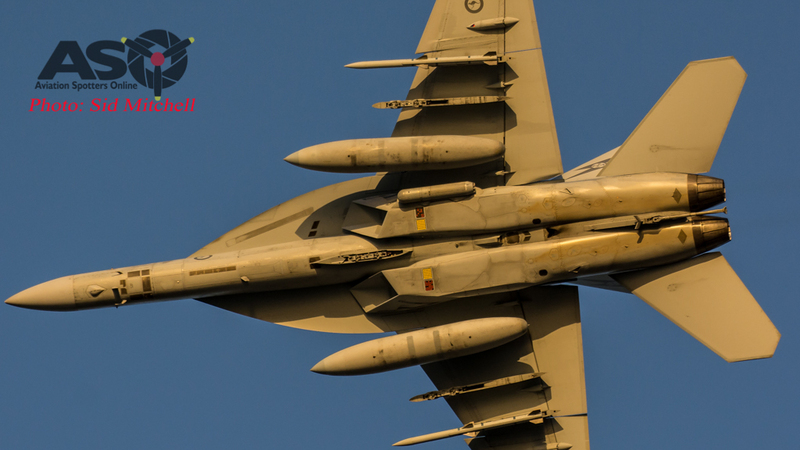 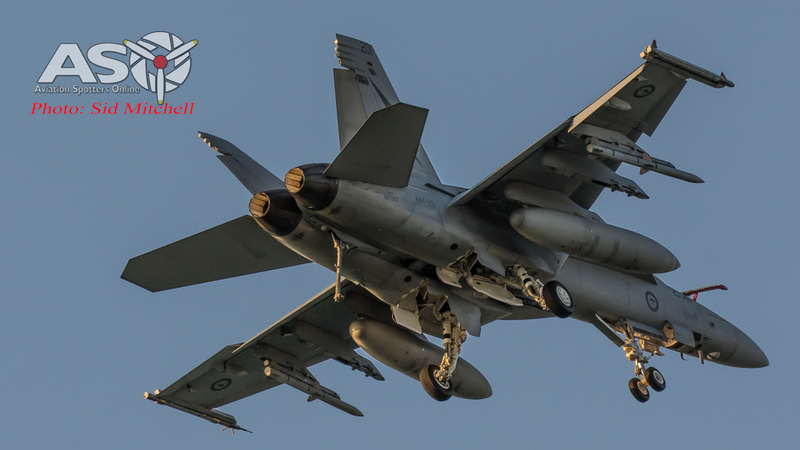 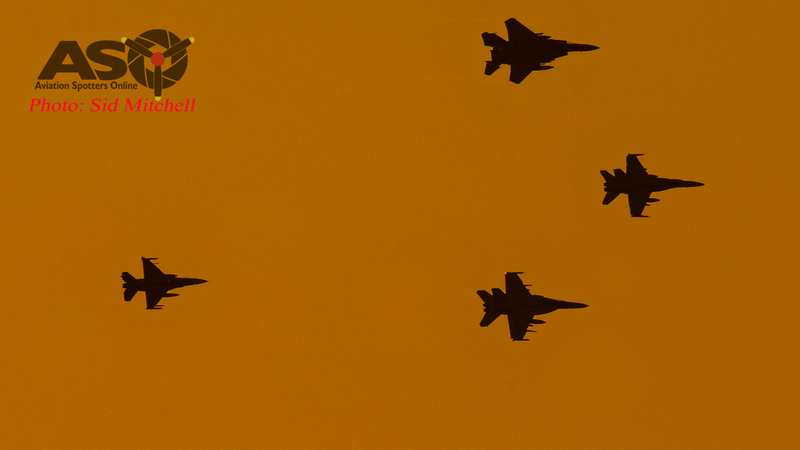 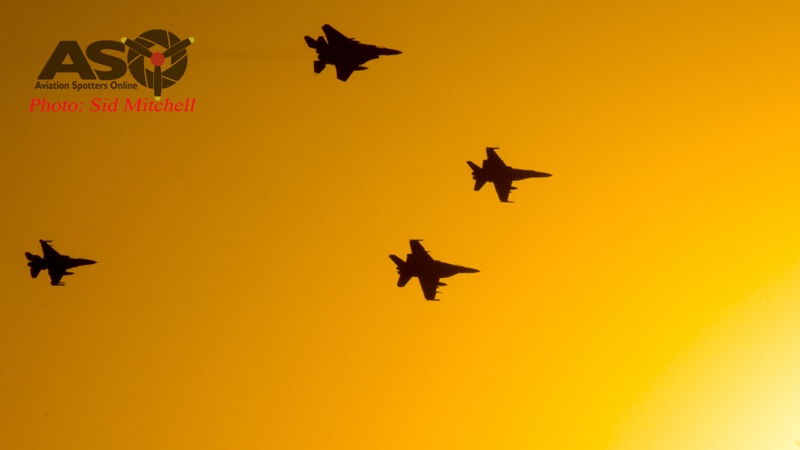 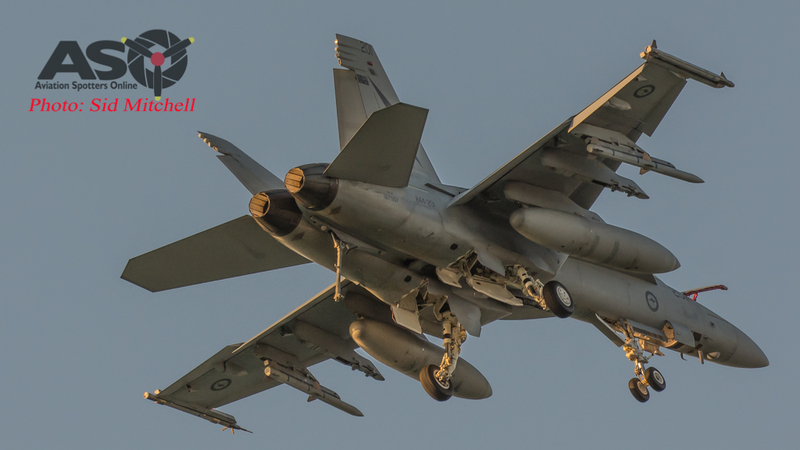 What connects the Darwin’s Mindil Beach, golden sunsets over Fannie Bay and Exercise Pitch Black?……only the most anticipated military handling display of 2016 in the Top End – the Aircraft Handling Display over Mindil Beach, right on sunset, on 11th of August 2016. 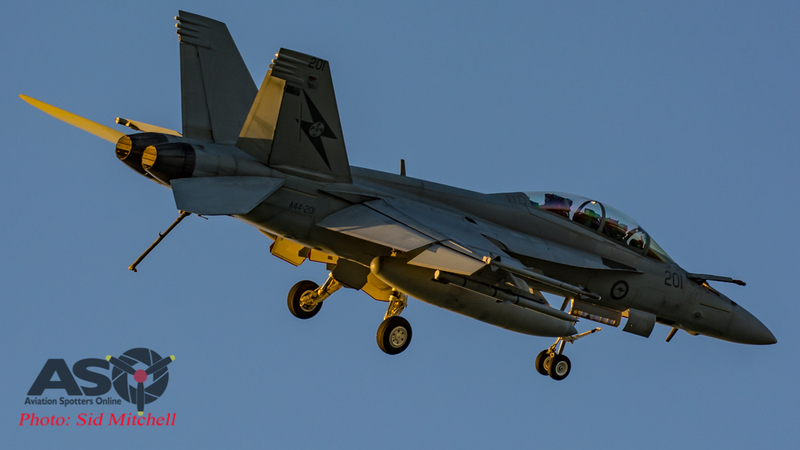 Having been promoted in the local media, and by not just the RAAF, but a number of other social media pages, the crowd had started to arrive at Darwin’s famous Mindil Beach from mid afternoon onThursday. 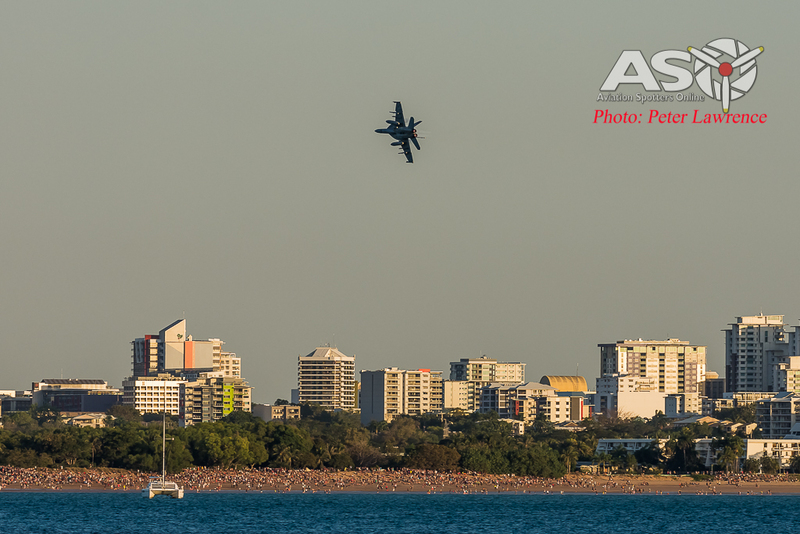 Many had grabbed a feed from the Mindil beach markets and settled in on the numerous vantage points along the beachfront, others had driven to higher ground or set up deckchairs and the odd esky on their balconies to watch…. 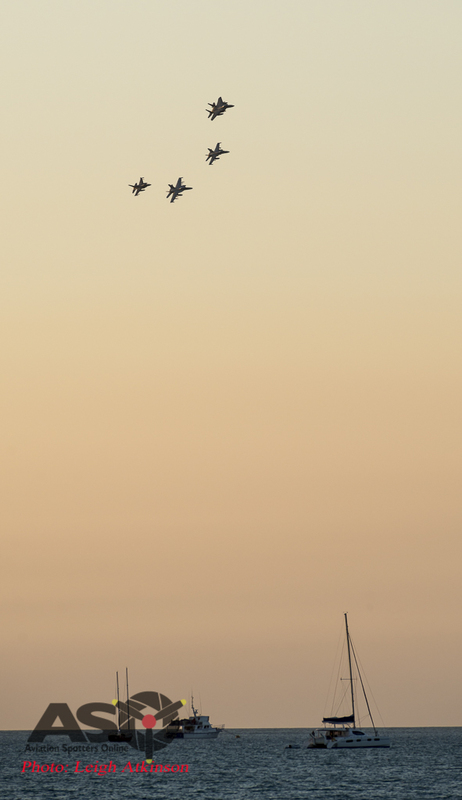 some were even moored up in boats. 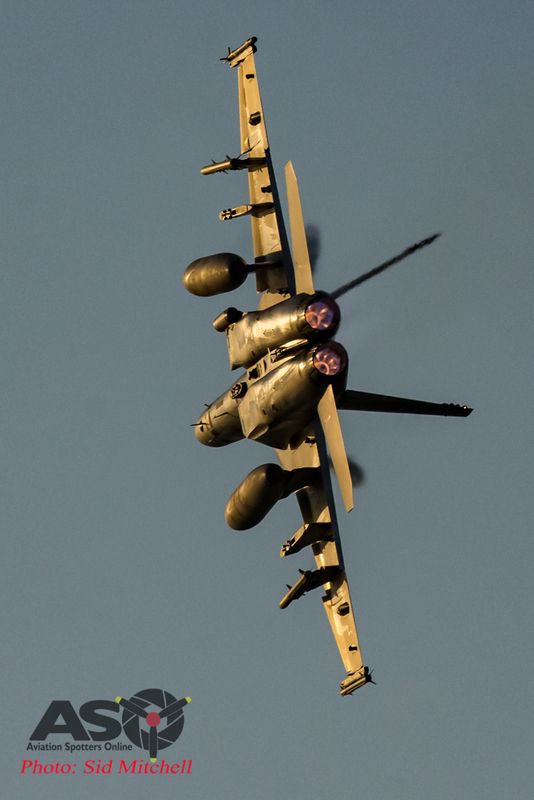 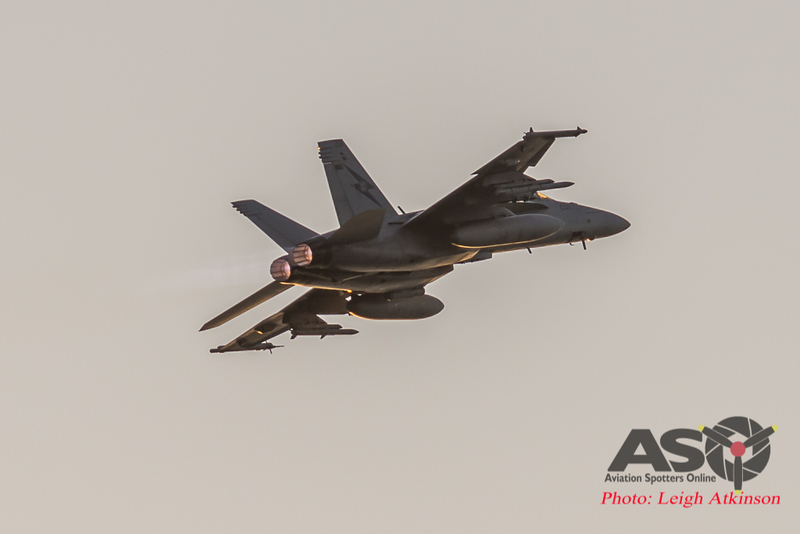 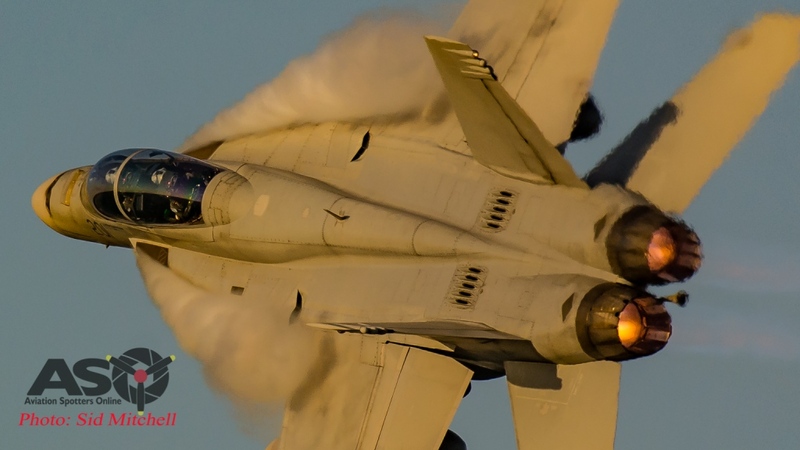 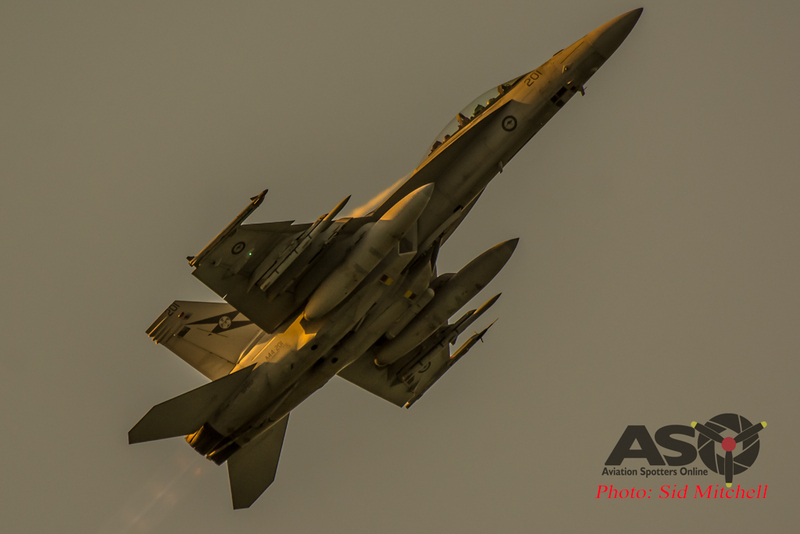 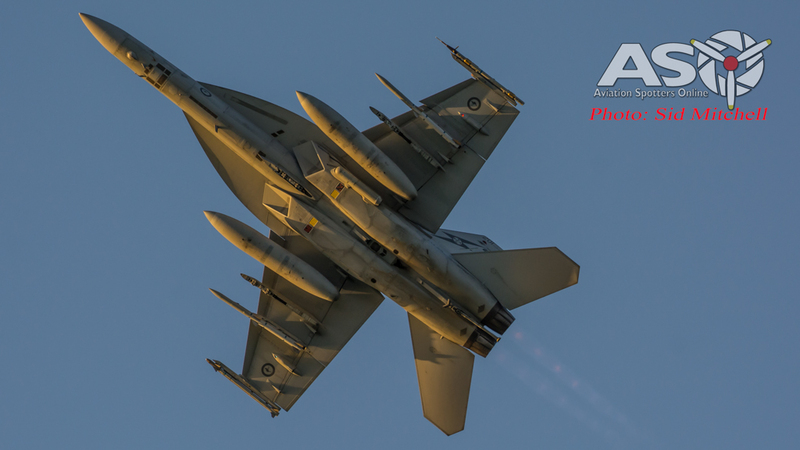 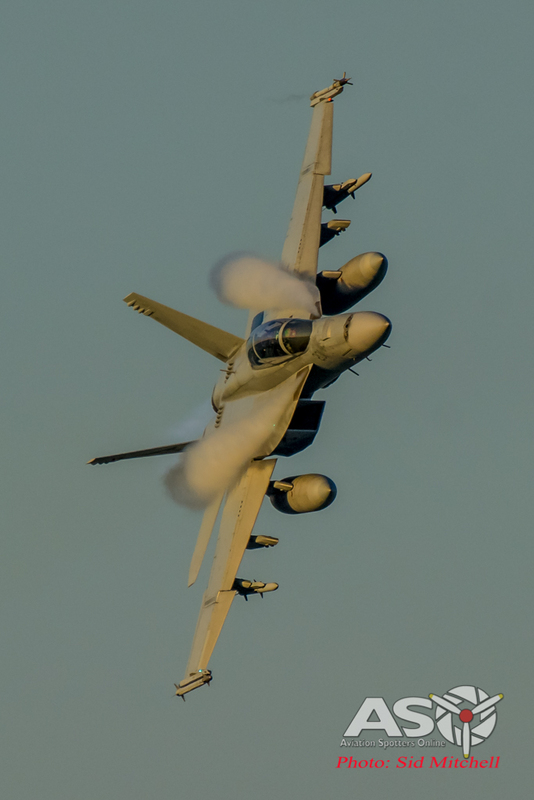 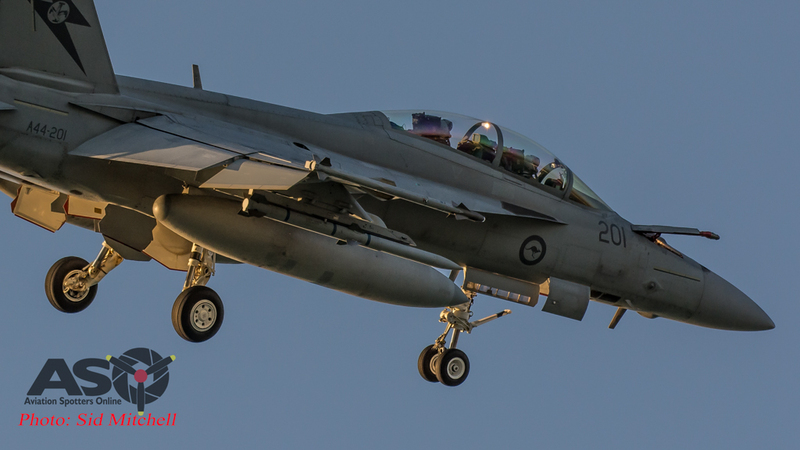 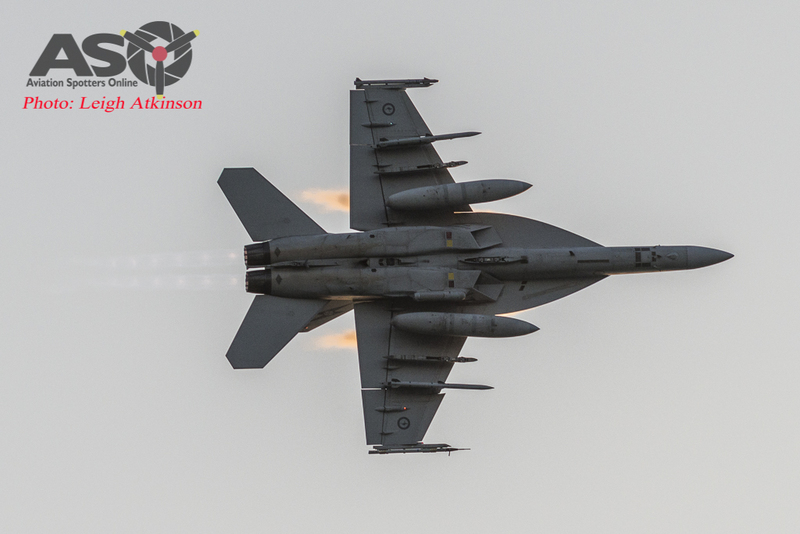 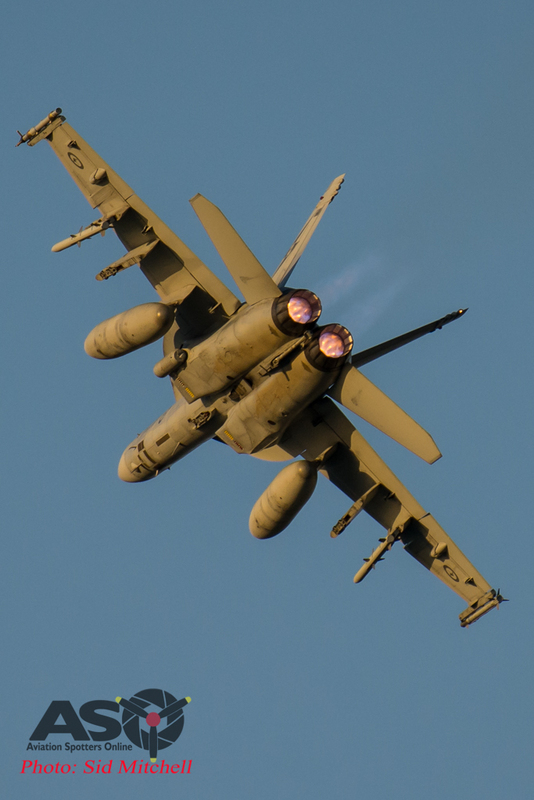 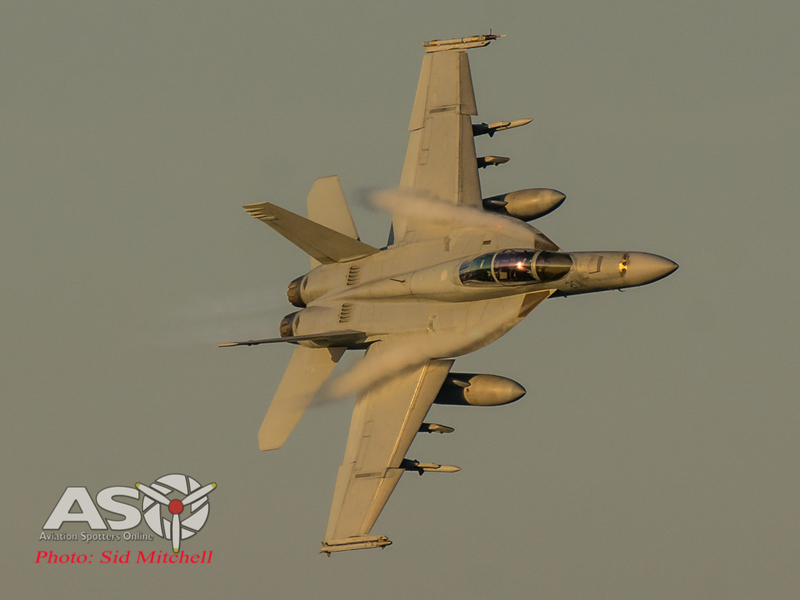 This year the public were to be treated to some outstanding manoeuvres as they watched a Royal Australian Air Force F/A-18F Super Hornet performed the low level Handling Display. 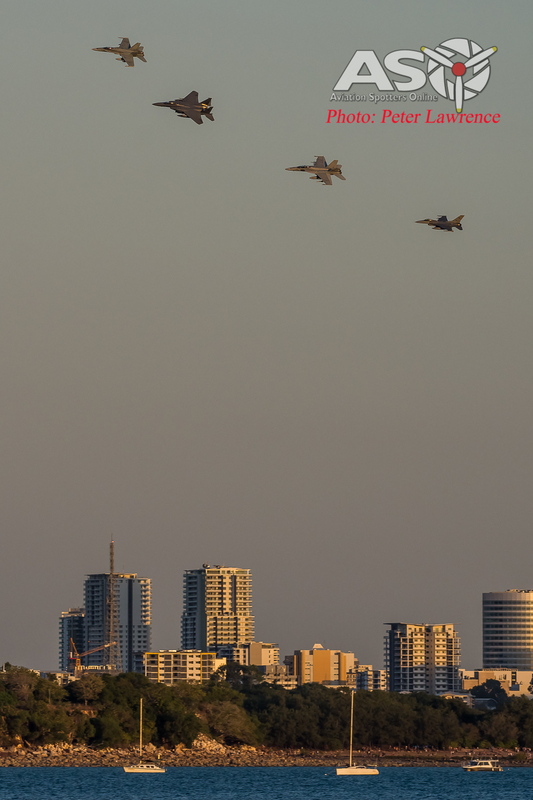 This was to be followed by a multi ship flypast including the display Super Hornet, a F/A-18A Classic Hornet, plus a Republic of Singapore Air Force F-15 and F-16. 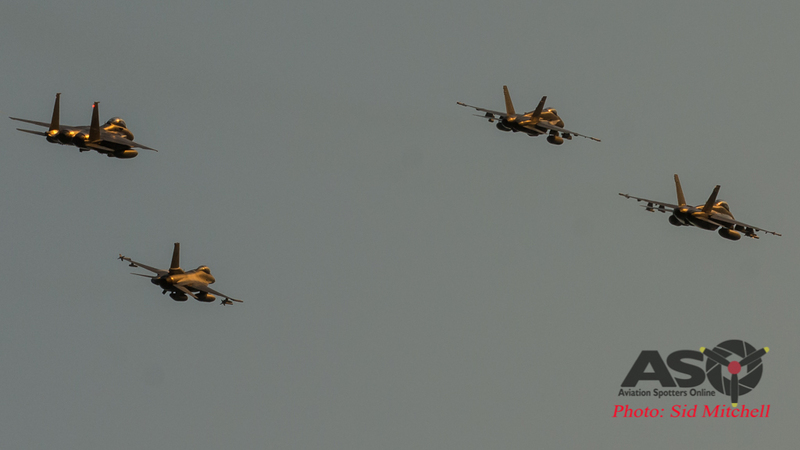 The flypast has been traditionally performed just off Mindil Beach as part of Exercise Pitch Black every two years. 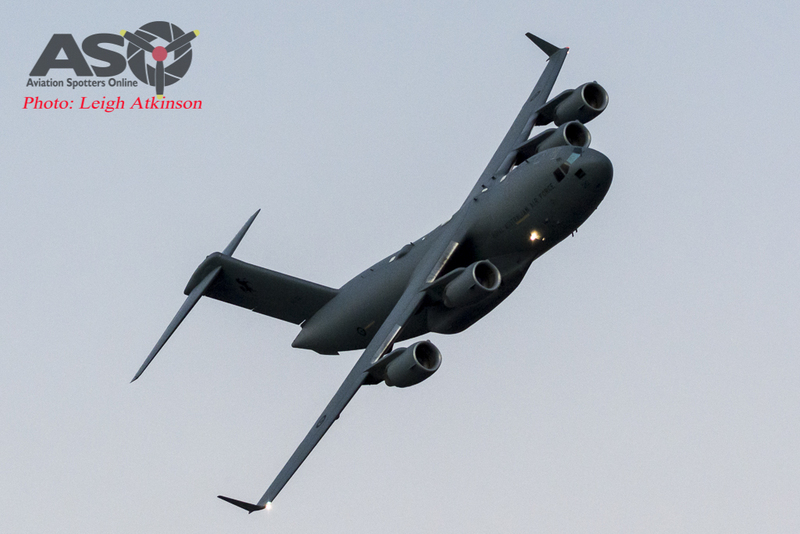 It wasn’t to be only jet action either, with a RAAF AP-3C Orion, C-17A Globemaster III and French Air Force – New Caledonia CN-235 also rounding out the list of display aircraft this year. 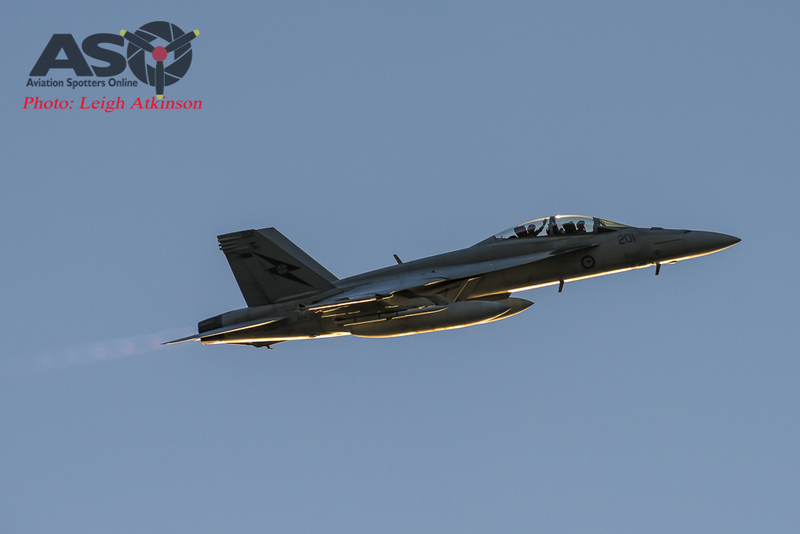 A fraction after 18:05 the sound of jet engines from the south west announced the arrival of the Handling Display aircraft, A44-201, an F/A-18F from 1 Squadron RAAF. 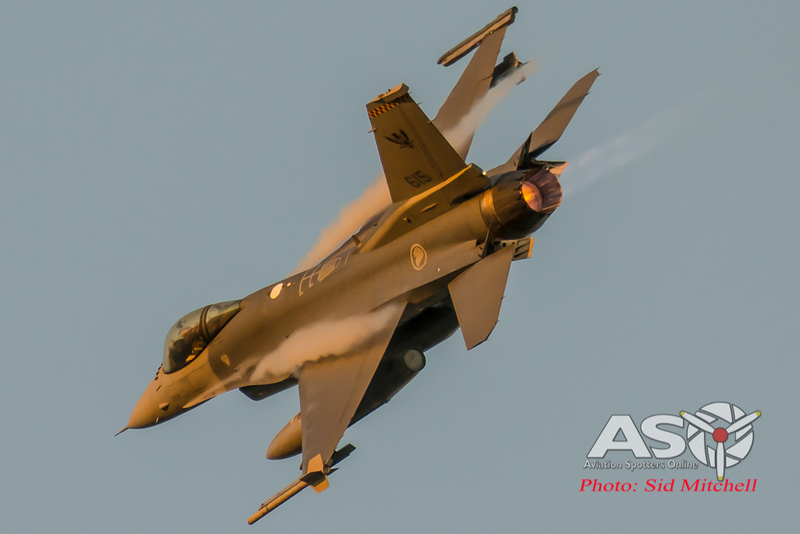 Aviation Spotters Online were there to catch it perform the display from multiple angles. 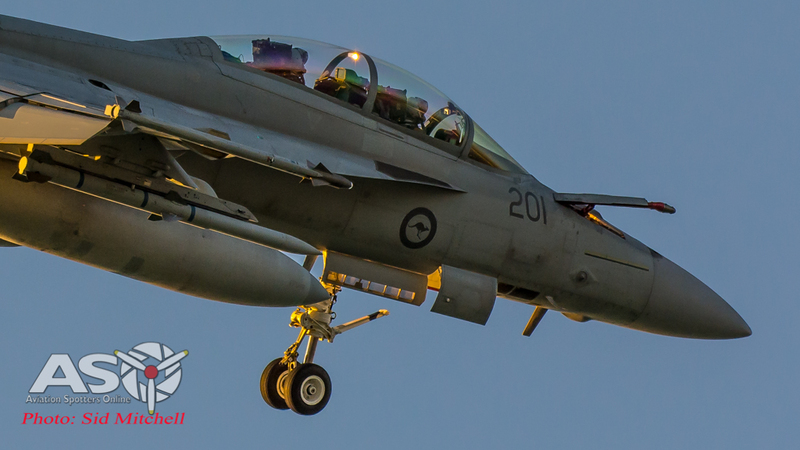 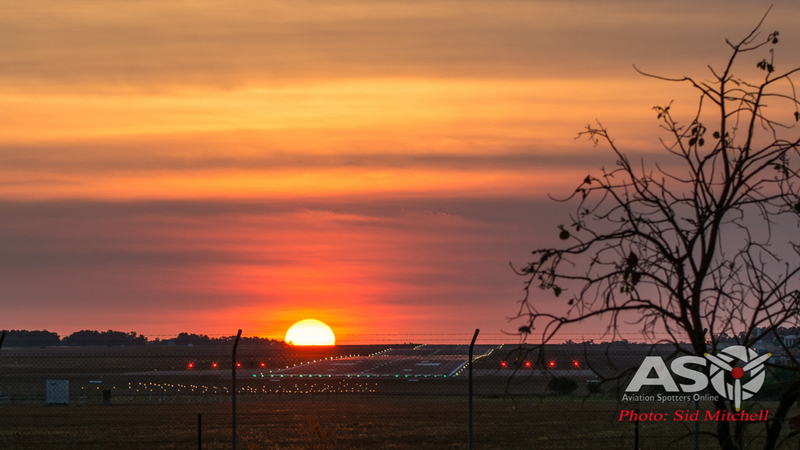 The display routine is planned well ahead and is precisely executed to fit in with the local daylight conditions….and in this case the beautiful backdrop of a Northern Territory sunset over Fannie Bay…that’s what it is all about. 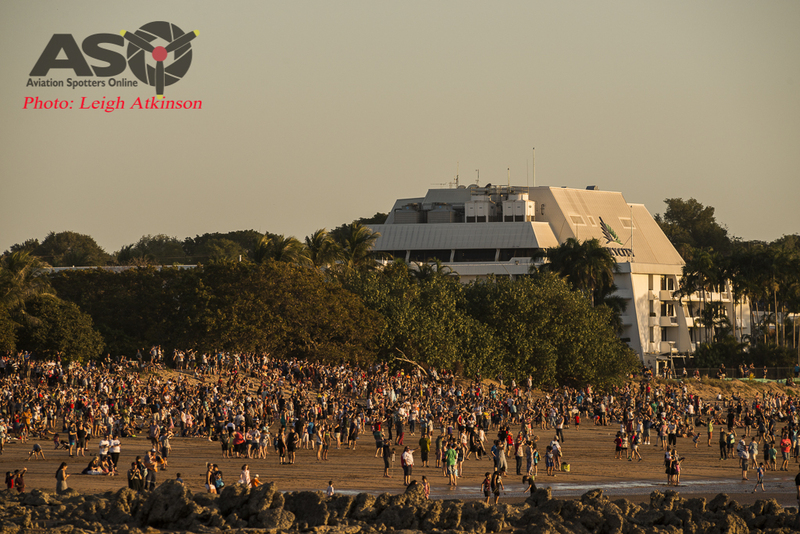 Positioning ourselves to cover 180 degrees of action, we were ready from the moment 201 rolled in past Larrakeyah and roared down parallel to the waiting crowd lined up on Mindil Beach. 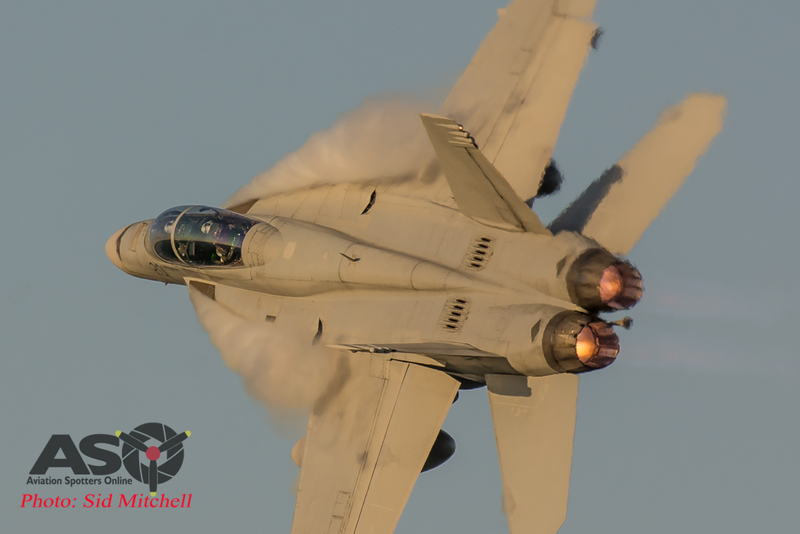 With the opening pass completed, and afterburners crackling in the afternoon sky, 201 certainly captured the crowd’s full attention..and you could just hear onlookers yelling and whooping from where I was taking photos. 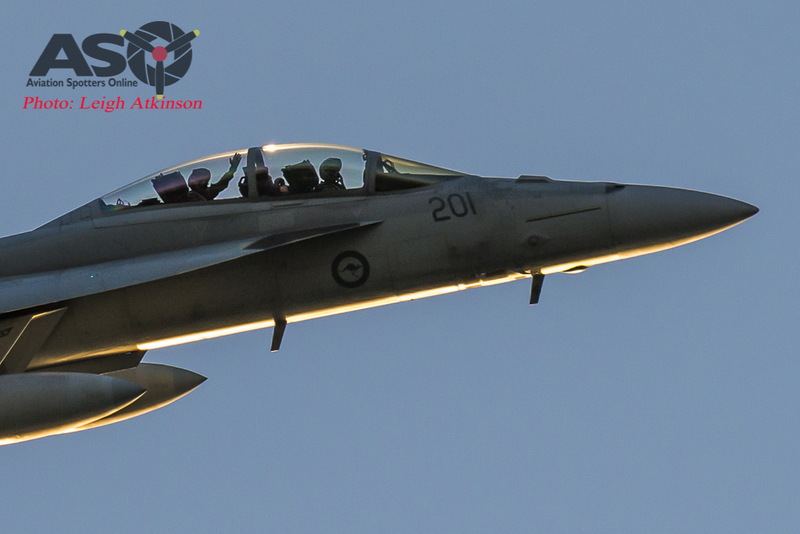 Then came another cracking entrance as within seconds the display pilot had reversed and was passing the crowd a second time, this time in the opposite direction banking to the right under full power. 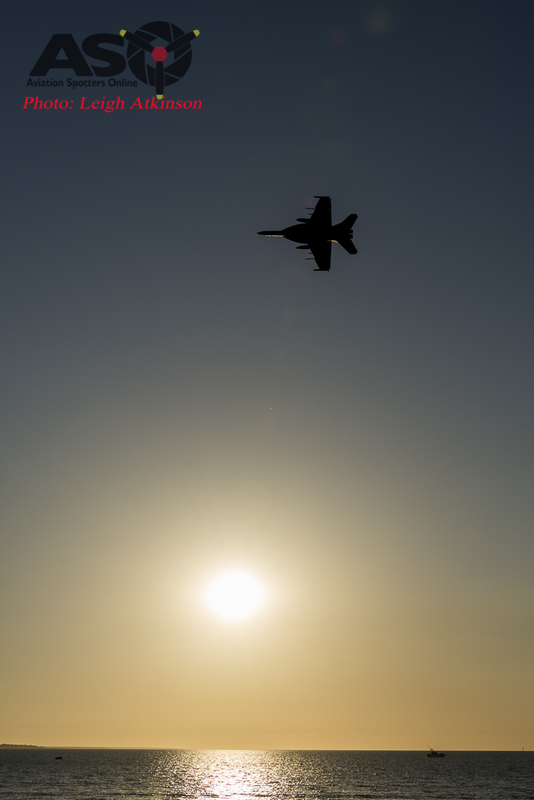 A further sweep past the onlookers provided a profile against the horizon and the pilot pushed A44-201 westwards into the setting sun, heading out over Fannie Bay. 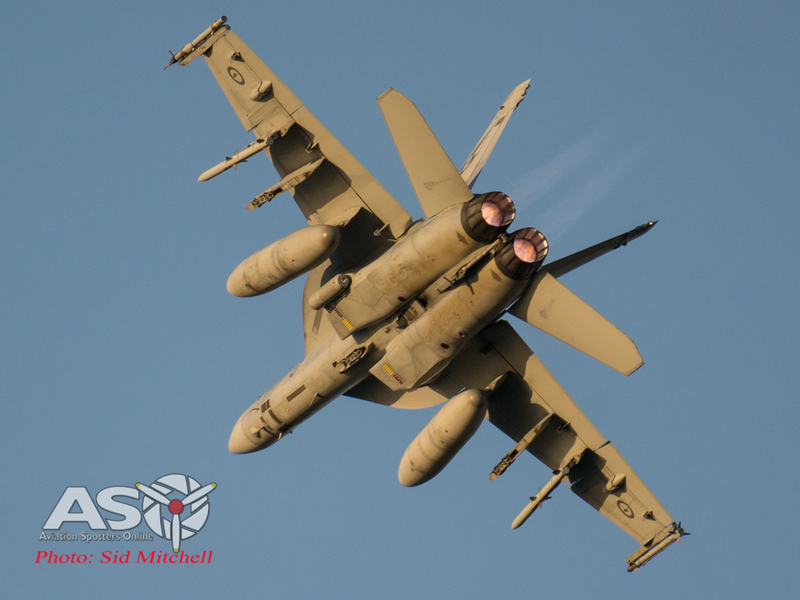 Heading back in towards Mindil beach the display pilot set the Super Hornet up for what is often referred to as a ‘dirty pass’ – control surfaces, undercarriage, refuelling probe and arrestor hook all extended showing off the aircraft in an ‘unclean’ or high drag configuration. 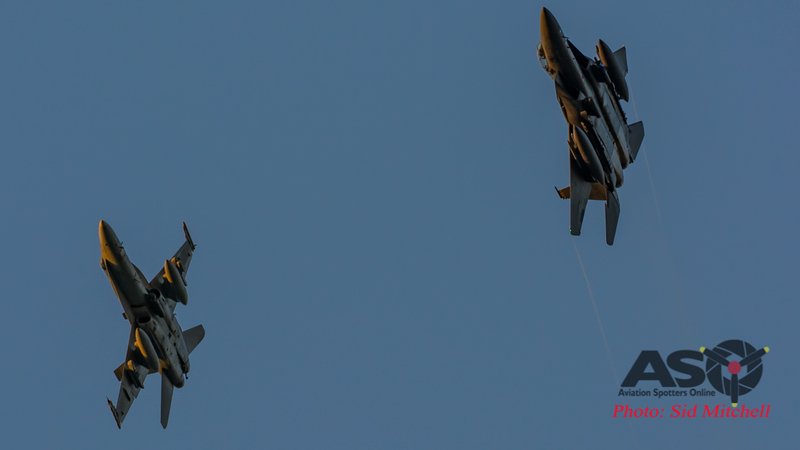 This was the best moment for beach goers to take photos as it was a much slower pass than all others during in the display. 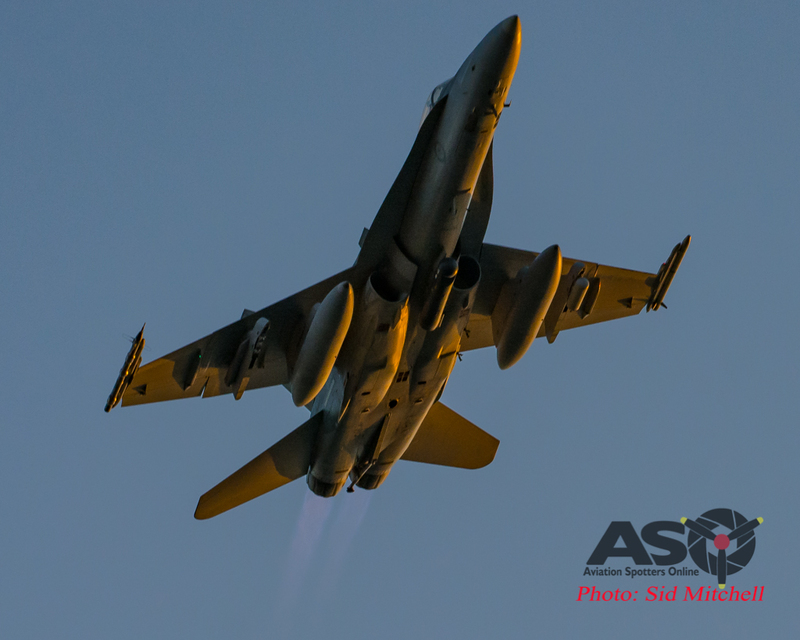 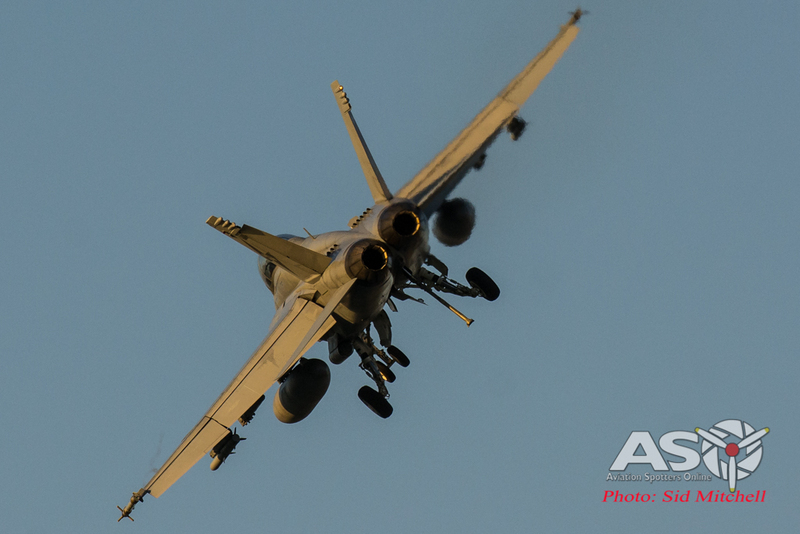 A44-201 presented such a great angle for the public to see the underbelly of a F/A-18F. 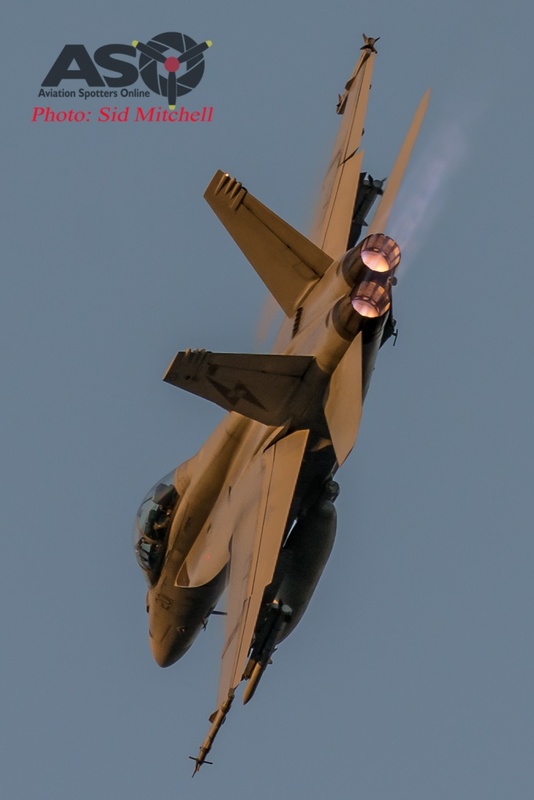 Undercarriage, arrestor hook, flaps and inflight refuelling probe levers to up/in positions, and the aircraft is quickly cleaned up aerodynamically, in preparation for the next few high G passes. 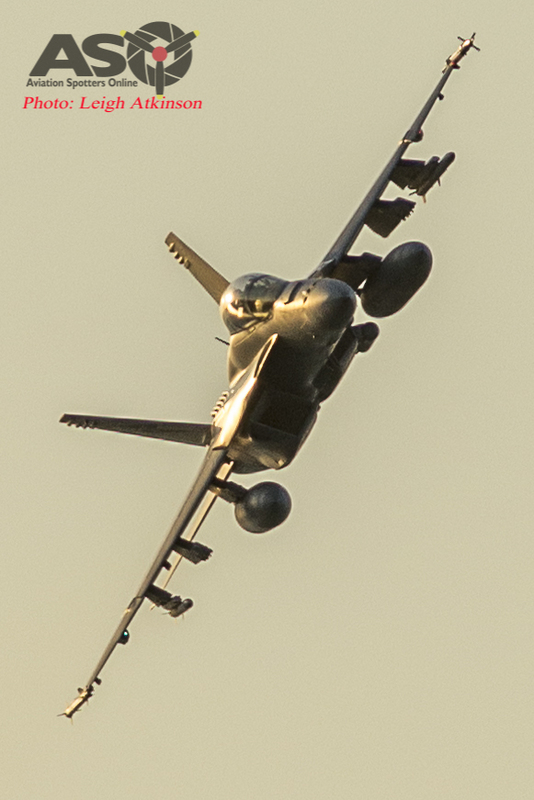 Adding a little extra to the display tradition, the passenger gave a wave to the crowd. 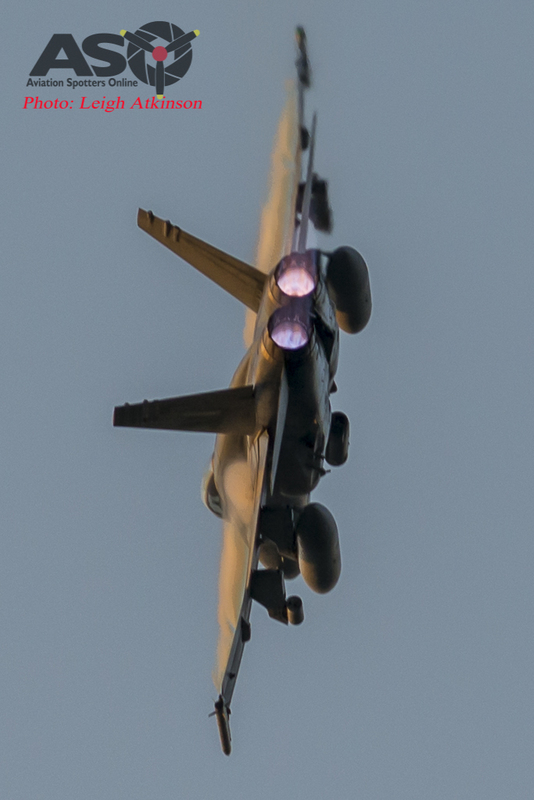 Then another full noise pass from right to left and we had the topside angle covered, capturing some nice adiabatic decompression, unfortunately something no easily seen clearly from the Mindil Beach angle. 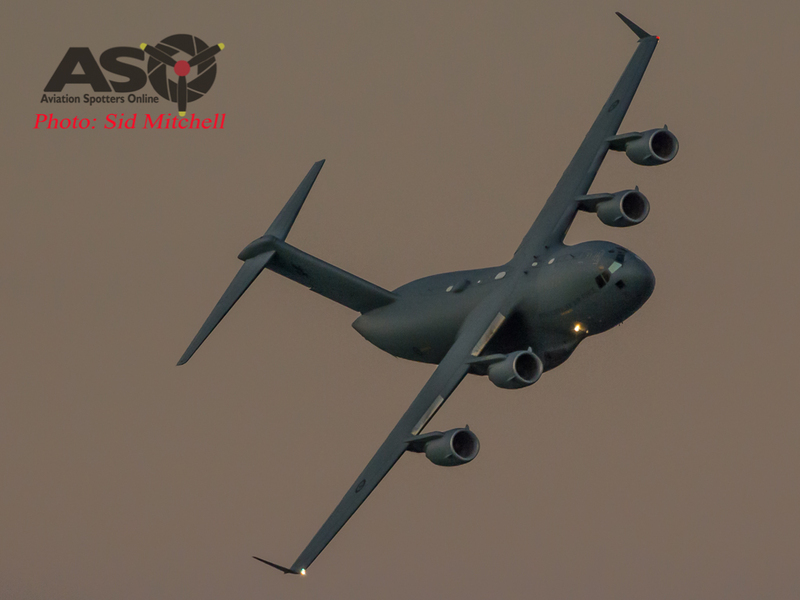 With a little time to spare there was a small window to review a few photos and adjust a few settings….. and appreciate the golden-orange colour was emanating from the west…truly a great backdrop for a sunset display. 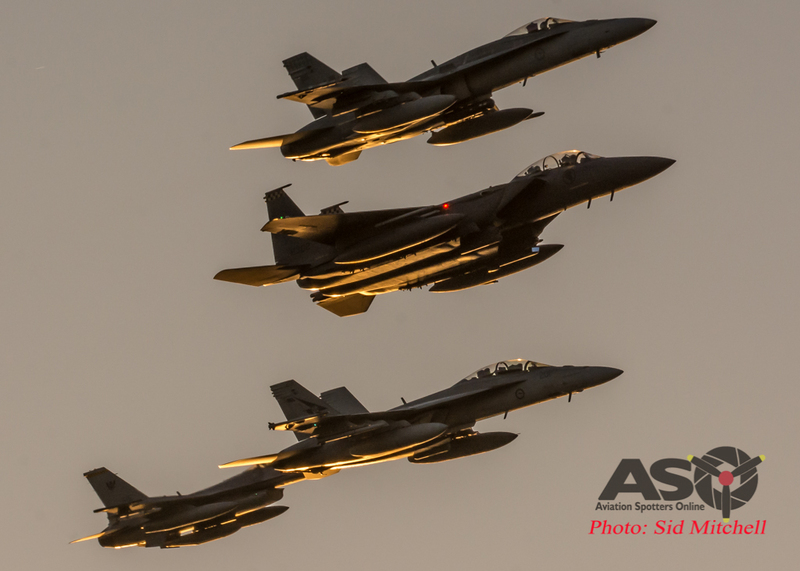 By now A44-201 had formed up to the southwest with a RAAF F/A-18A (A21-29) from 77Sqn, a Republic of Singapore Air Force F-16C (615) from 143 Sqn plus an F-15SG (8302)from 149 Sqn, it wasn’t long before we could see the formation approaching us. 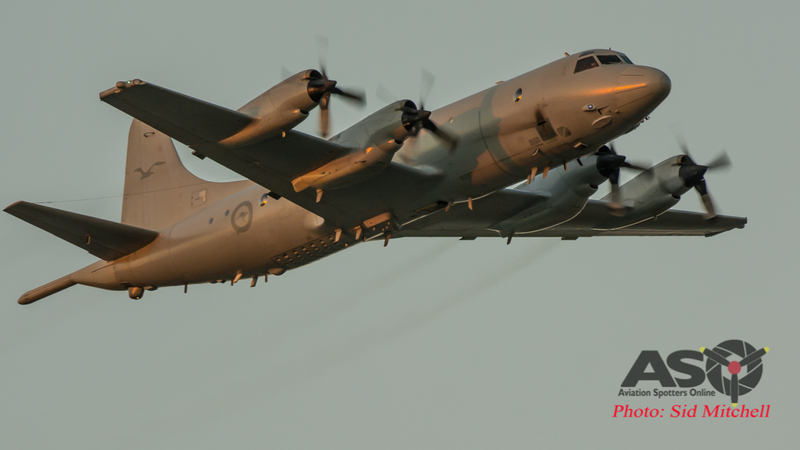 This formation fly-by was very smooth and as they initiated the first banking manoeuvre in front of the crowd, a RAAF AP-3C Orion could be seen loitering in the background waiting for it’s turn. 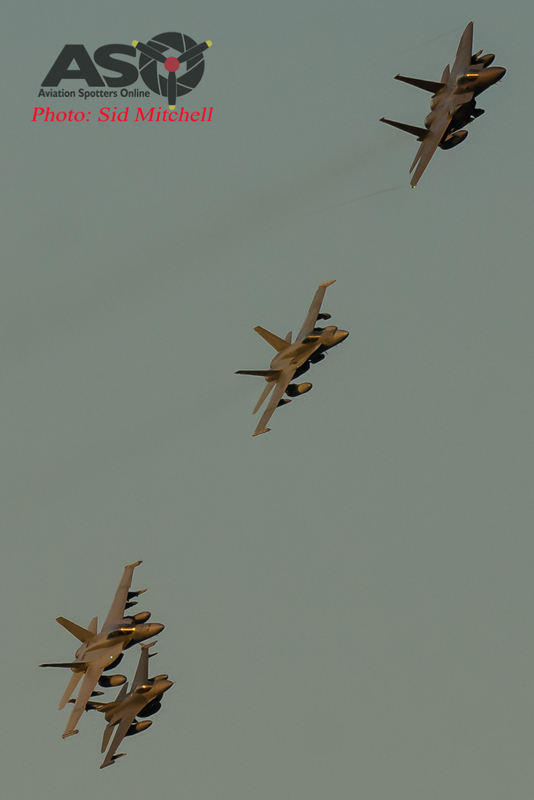 As the 4 ship circled, it passed in front of the setting sun providing an opportunity to the crowd to view them silloetted against one of those golden sunsets so famous in the Northern Territory. 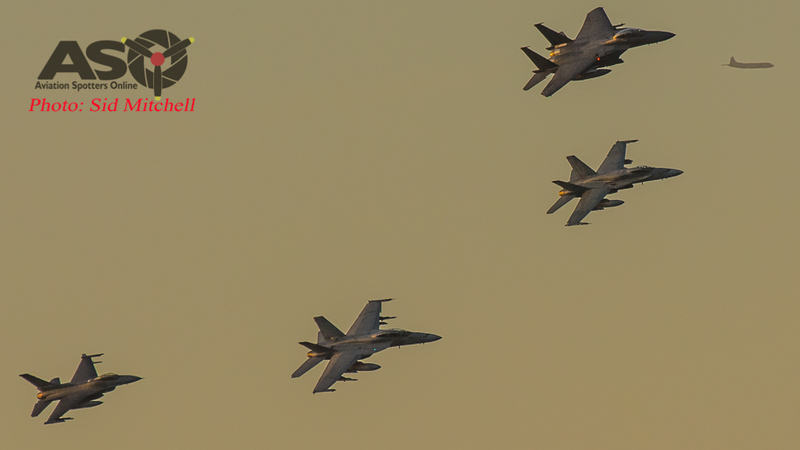 The flight formation seemed quite appropriate that they appeared to be positioned like a basic Southern Cross. 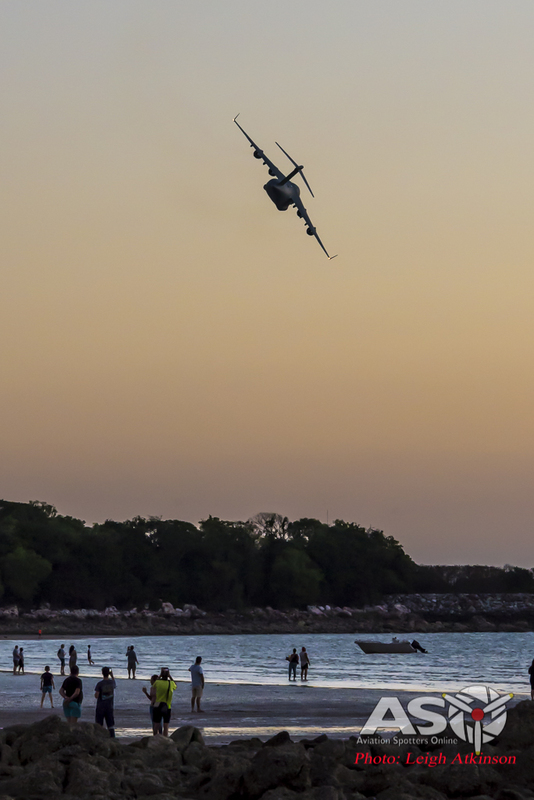 With additional passes photographers were presented the opportunity to use the shadows cast to highlight the different aircraft shapes as they angled around in front of Mindil beach. 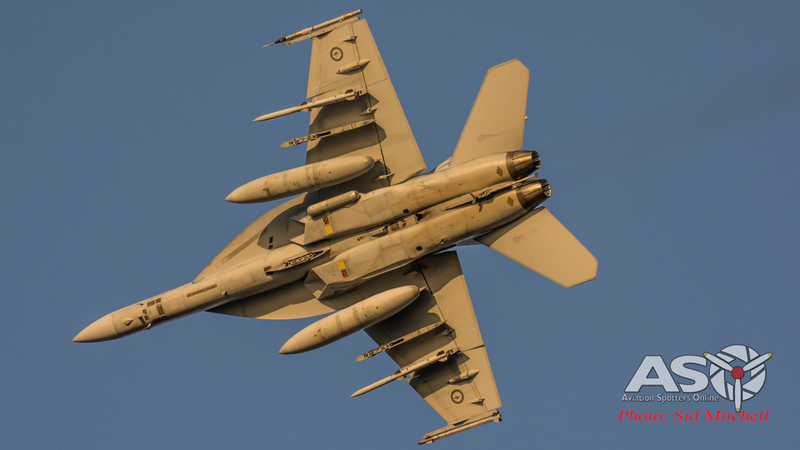 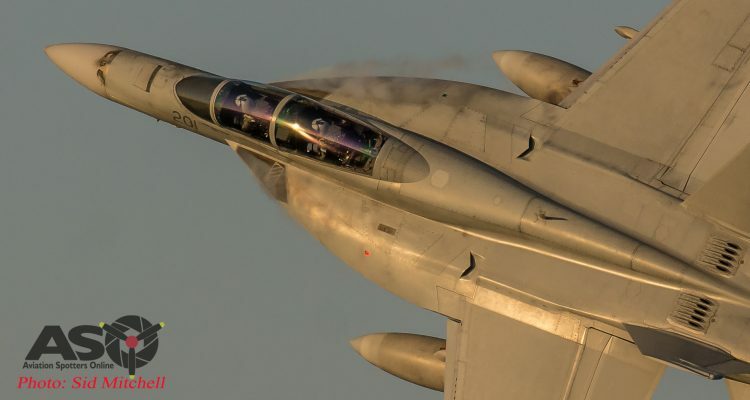 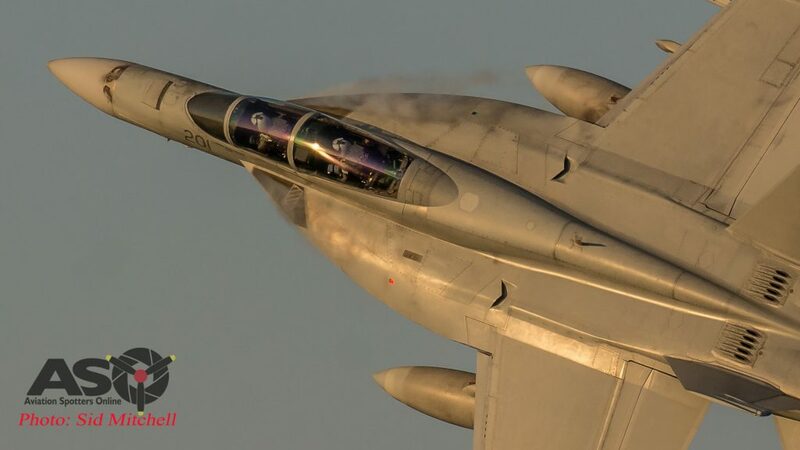 Eventually the fighter component of the display was completed and the jets pulled away to stagger their return to land on runway 29 at RAAF Base Darwin, just a few minutes away. 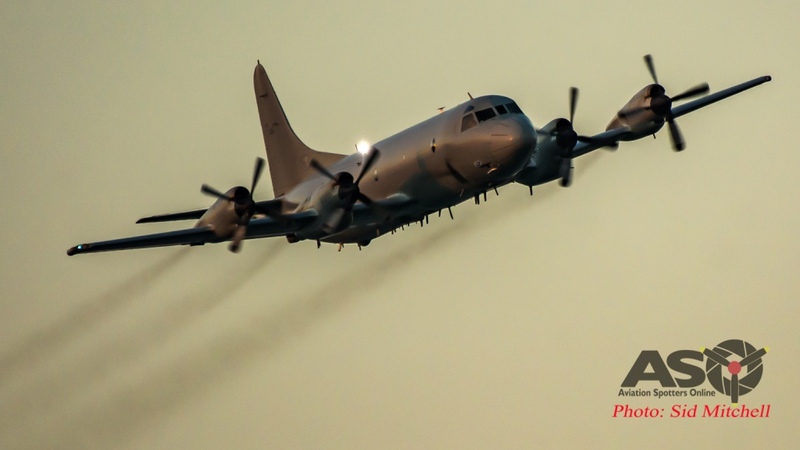 From a northerly direction came the first of the larger display aircraft, a RAAF AP-3C Orion Maritime Patrol aircraft from 11Sqn, sweeping in along the beach with it’s distinctive synchronised drone. 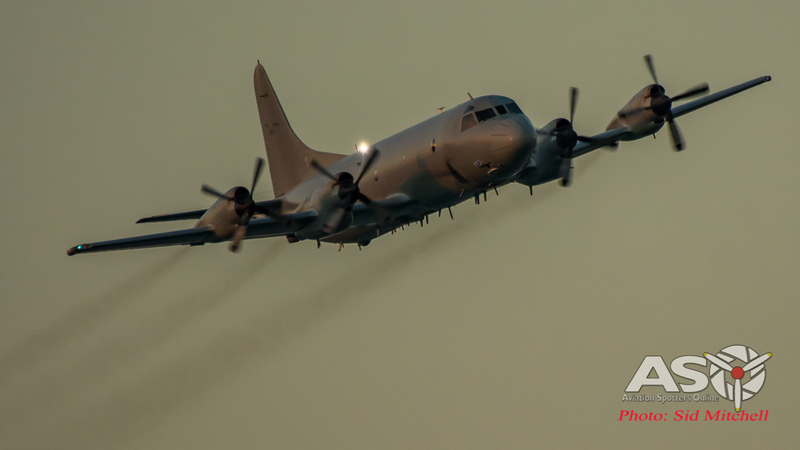 Many local residents will be familiar with the Orion as they have been a regular sight and sound in the Darwin skies for years. 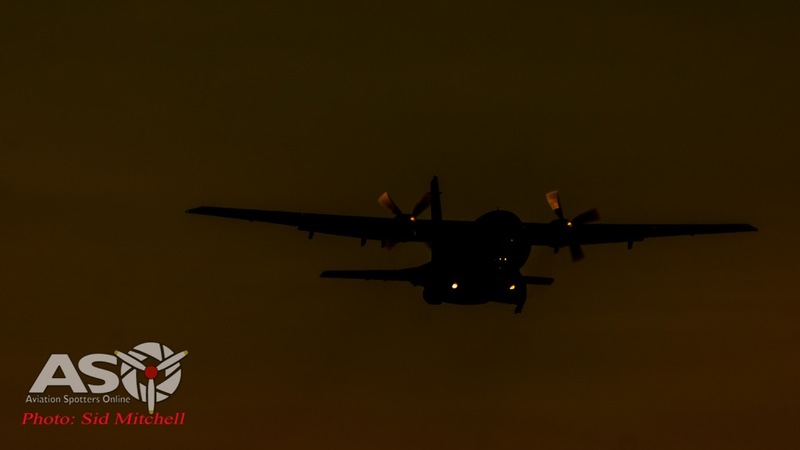 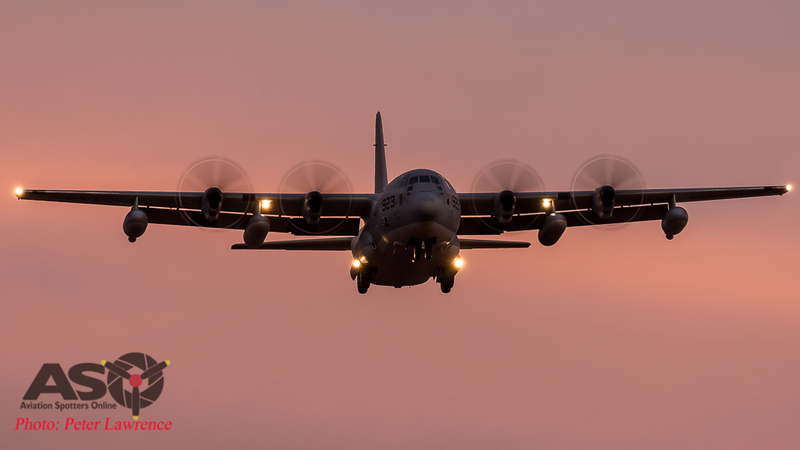 Possibly Pitch Black 2018 it may well be the last opportunity for the AP-3C to participate in this sunset display. 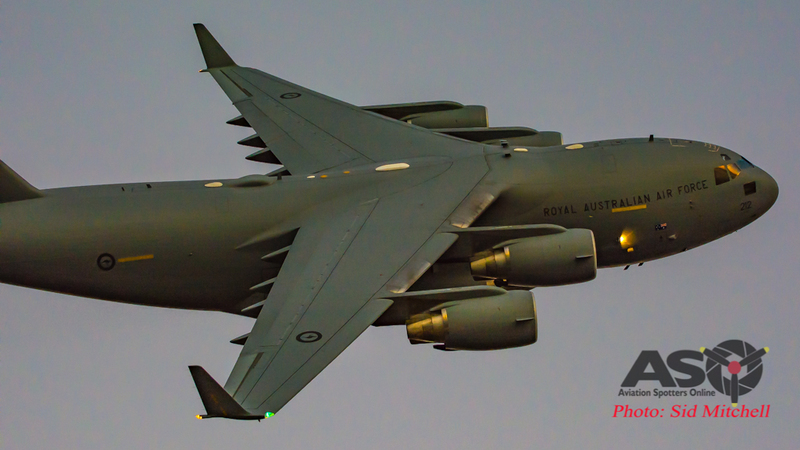 By this time the sun was below the horizon of the Timor Sea and appearing from over East Point Reserve came the heavy lifter of Pitch Black 2016, the RAAF C-17A Globemaster III A41-212 from 36Sqn. 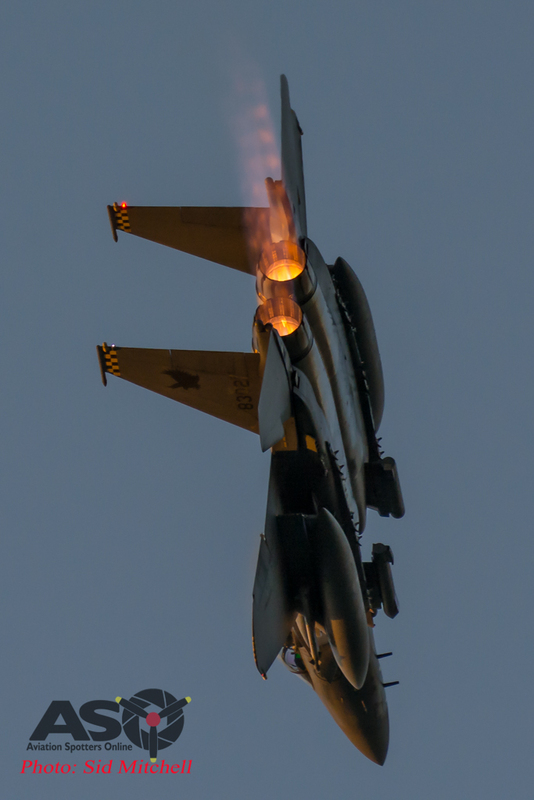 A banking turn revealed the top side in the dusk light. 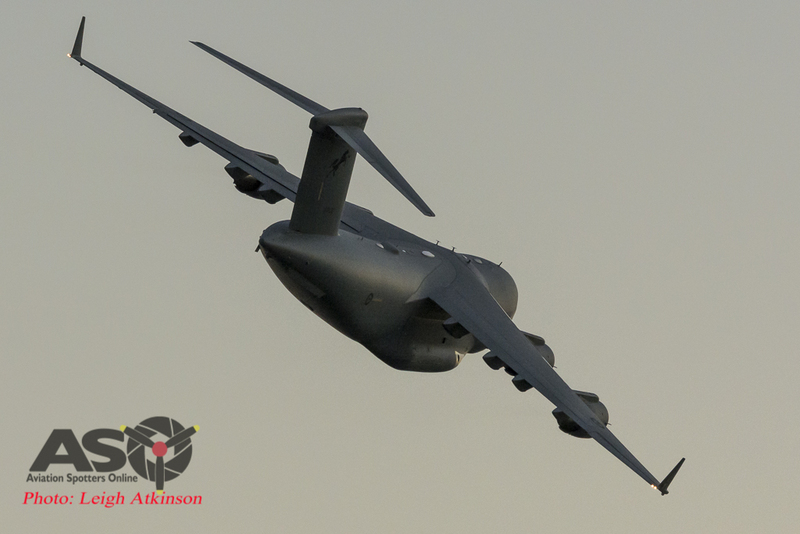 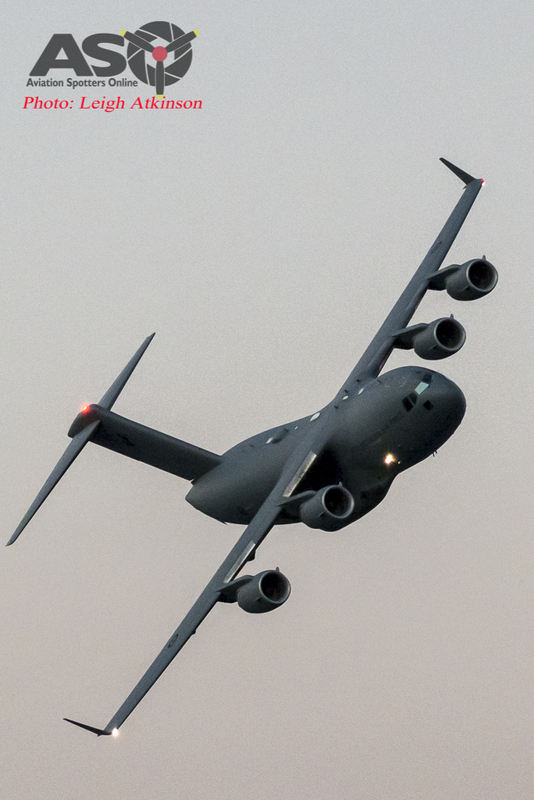 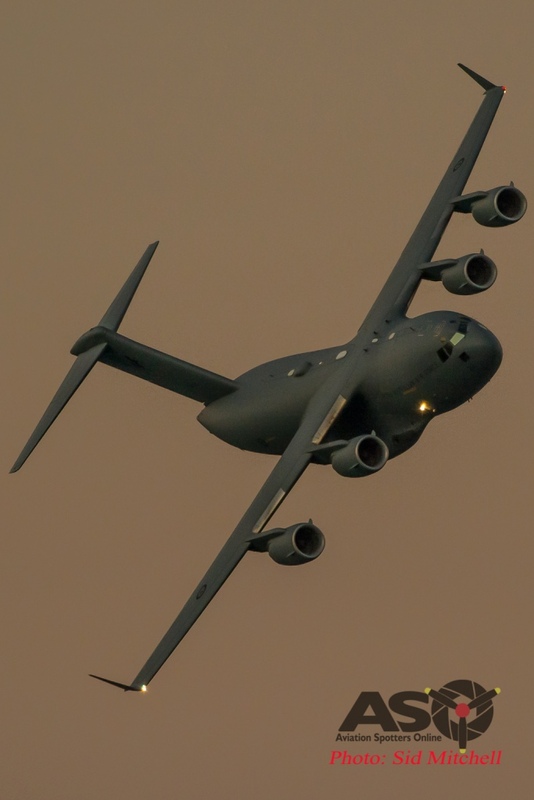 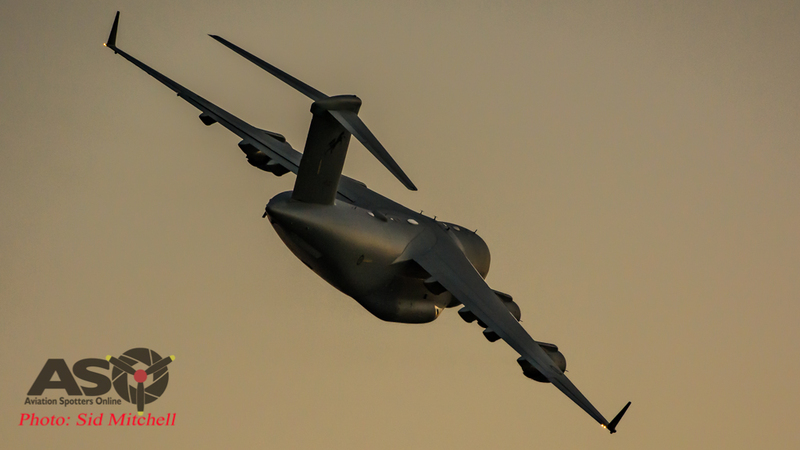 And with that unique multi turbofan sound, the C-17A departed in the fading light, silhouetted as the twilight swallowed it up in the distance. 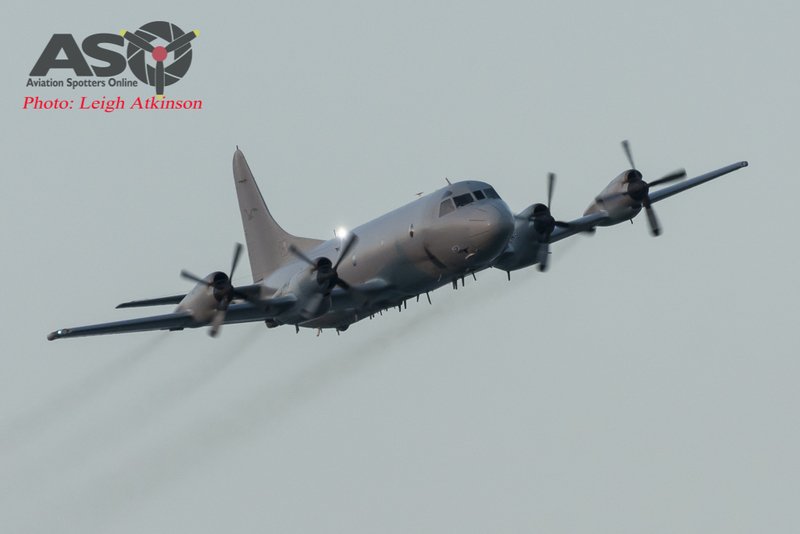 To round out the after dark display was the French Air Force – New Caledonia(FANC) CASA CN-235, a twin turbo prop that was very quiet in comparison to all before it, and due to the low light, quite hard to capture. 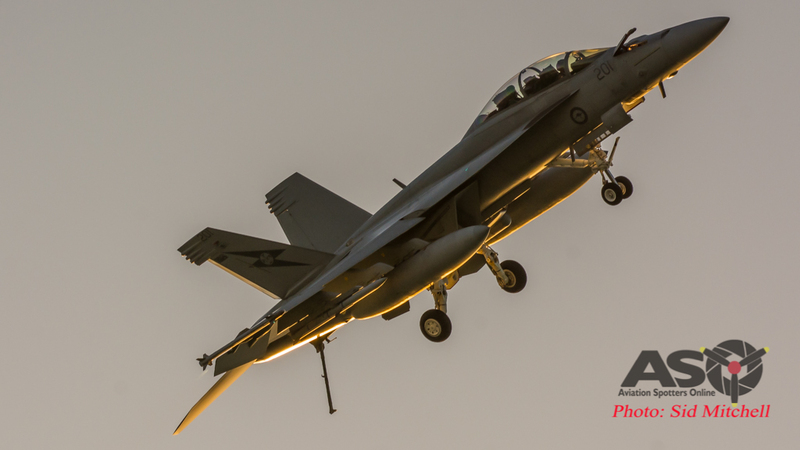 The Pitch Black Sunset Handling display is always a top drawcard for the RAAF and this year was outstanding with the additional display aircraft from Singapore, French New Caledonia and the RAAF’s own Transport and Maritime wings. 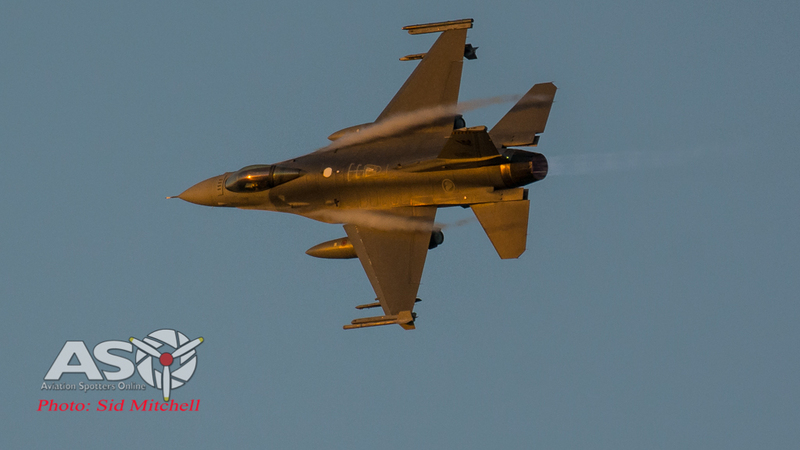 Many hours of behind the scenes planning goes into the handling display routine, plus the co-ordination and execution of the formation and multi engine flypasts, so that the public can be entertained by what is one of the best displays every two years. 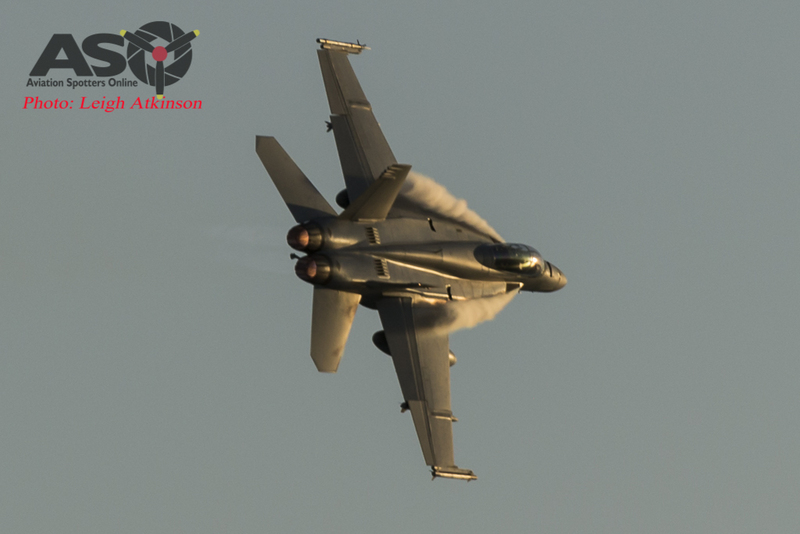 It is a credit to all those involved in making this event happen for the public to be entertained by, and we look forward to bringing it to you again in 2018. 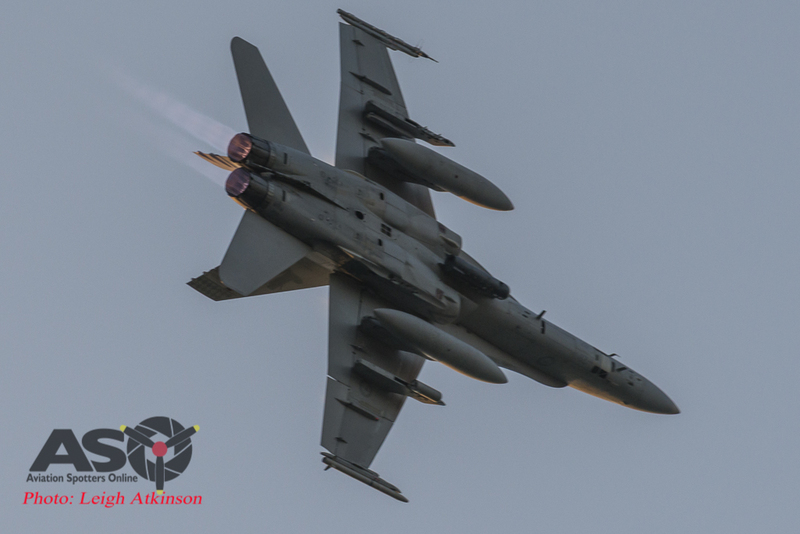 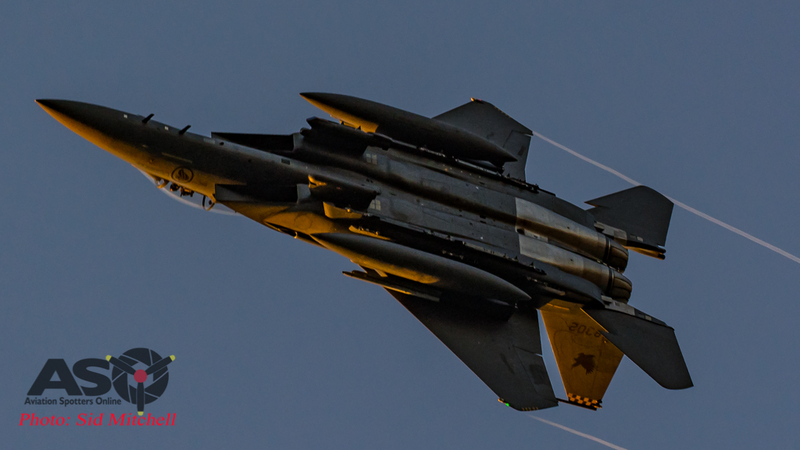 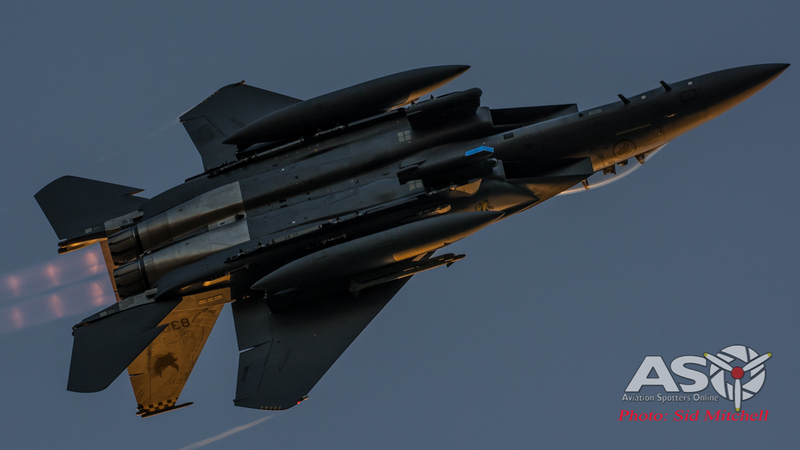 As a team this year, Aviation Spotters Online was able to position ourselves in different locations so we could capture the display from different angles. 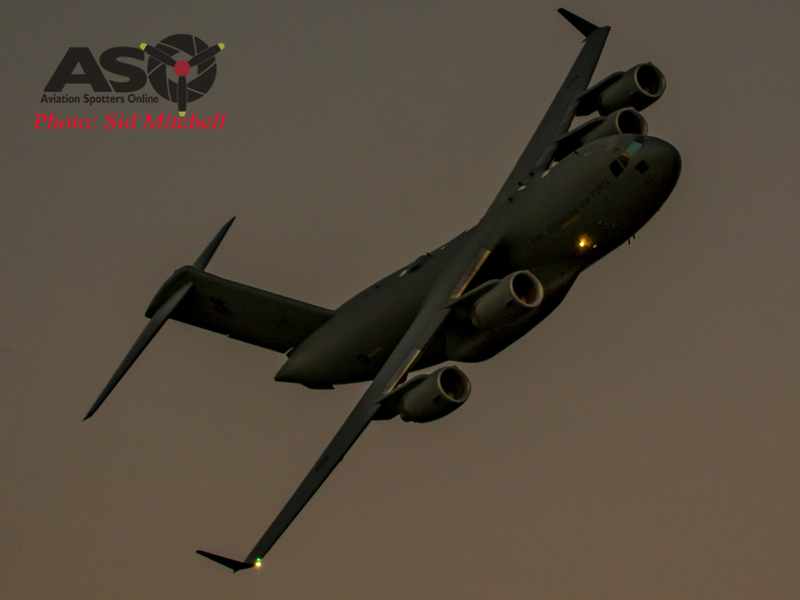 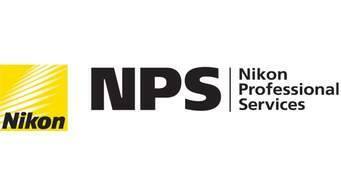 We strive to bring a different photographic and video viewpoint to our readers, something we think separates us from the others because we are always willing to try something new. 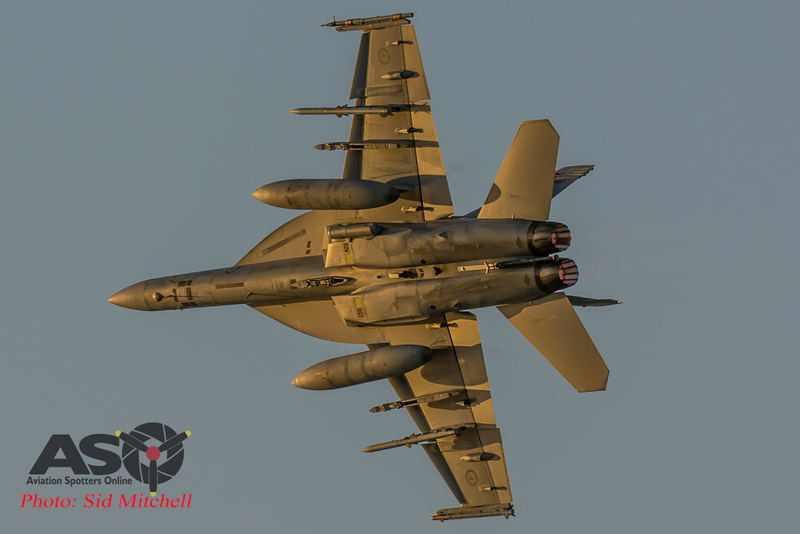 Who knows what the next Pitch Black will present us with, but we look forward to bringing you the highlights again in 2018. 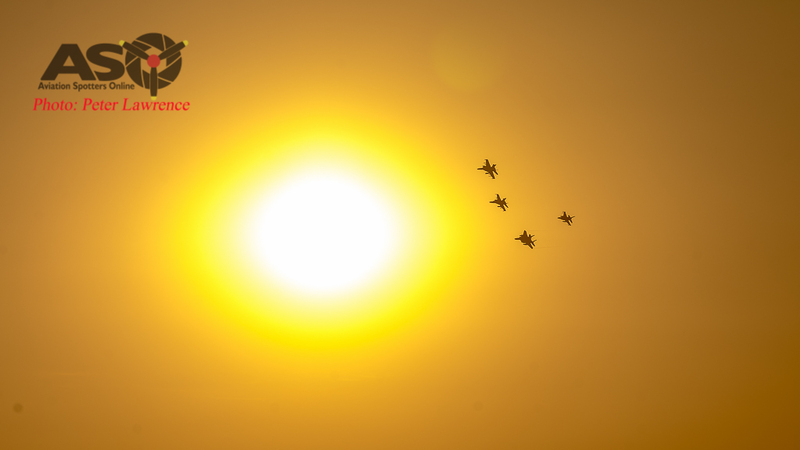 Sid, Leigh, Mark, Peter and Mark P.